This award was from the American Corporate Identity for Consumer Packaging. The aluminum can was printed as a 6-color reflexagraphy run done at Ball Corporation. The label for Space2O was printed process-color offset on a moisture resistant paper label. 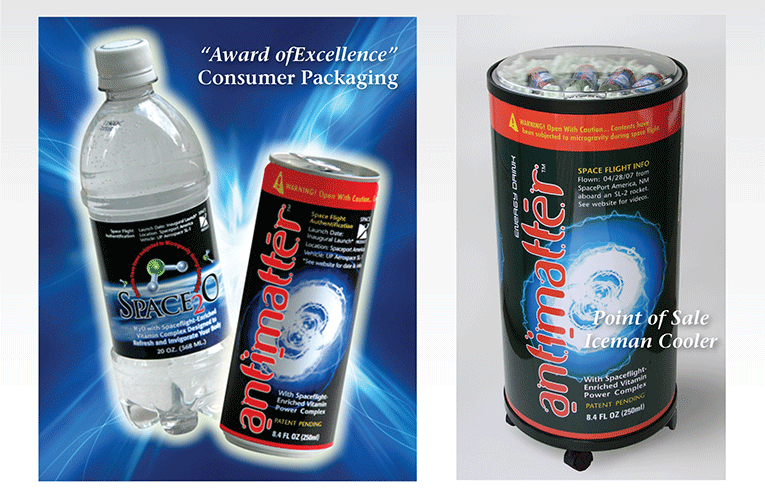 The point-of-purchase IceMan Cooler display was created for easy access in cafeterias and gas station locations and mimics the can itself with identical proportions.